NEW YORK (AP) — A woman who was eight months pregnant was found stabbed to death Saturday in her apartment, the day before her wedding, police said. Vindalee Smith, 38, was found on the floor of her apartment in the East Flatbush section of Brooklyn with a gaping wound in her neck. It wasn't clear how long she'd been dead before the body was discovered by her landlord. Her unborn child did not survive. There was no sign of forced entry, and no weapon was recovered, police said. Investigators are looking for a possible suspect. They interviewed her friends and family, and spoke to her fiance. "I can't even begin to imagine who would want to do that," her friend, Sybil Samuel, told local newspapers. "It would be the devil, to kill a woman with a child in her stomach. They killed two people." 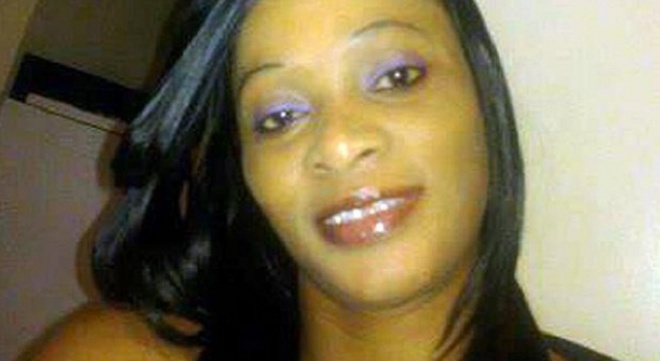 Smith was a mother of four, friends said. A baby shower had been planned for Saturday evening, followed by a small wedding Sunday. Friends told reporters that Smith had met her fiance about a year ago. Smith was a devout Seventh-Day Adventist and attended New Dimension Church, where she was supposed to get married. Congregation members were concerned when she didn't show up for morning service. "She was always on time— always the first person at church," Tyler Harrigan told the Daily News of New York. "When the news came to the church, the whole church broke down. We started to bawl. All the children were crying." A crowd of mourners gathered outside Smith's home, praying and weeping, and singing hymns. The church pastor Rev. Ferron Francis told the Daily News that Smith had once feuded with a former neighbor who threatened to kill her, but it was months ago and the trouble had stopped when she moved to the new apartment. Calls made by The Associated Press to the church were not immediately returned. Some friends said that Smith once worked for a home health care agency, but may have been recently unemployed.